Great skin starts and ends with clean skin obtained with our Green Tea Facial Cleanser. Each product we offer you is strategically designed to improve the quality of your skin but the fact remains, if you don’t have a cleanser that cleans deep but gentle, then the products used afterward to moisturize and improve your skin won’t be as effective in helping you put your “best face forward”. We always recommend starting any skincare regimen with a deep clean that removes impurities and excess oils without stripping the skin of it’s natural oils. 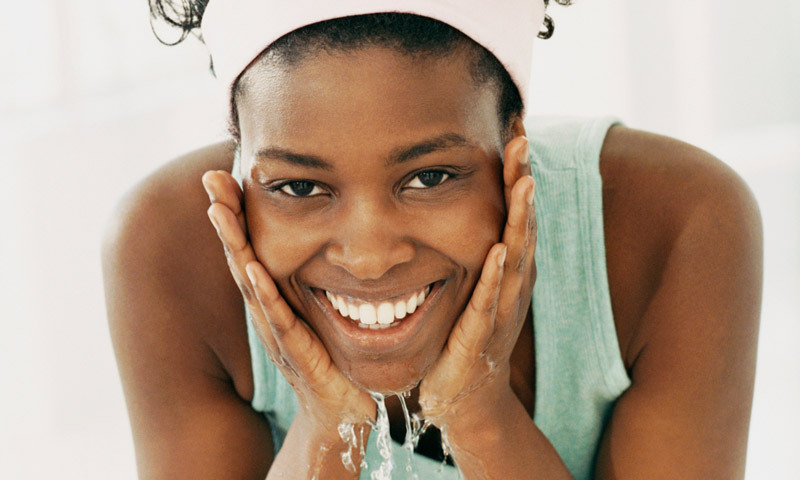 Despite what some cleansers lead you to believe or even experience, you don’t need to dry out your skin in order to prevent acne, discoloration, and inflammation. All you need are natural products that are safe for the skin and absorbed for the it’s benefits. Our Green Tea Cleanser contains real green tea leaf extract which is twice more potent in antioxidants than Vitamin C. Instead of just using green tea leaf extract alone, we’ve still added Vitamin C to not only double, but to triple your protection against free radicals that damage skin cells and cause accelerated aging. We’ve even gone as far as to make this cleanser your “all in one” to prevent you from using multiple products throughout your week to clean the skin which can cause irritation and of course lead to blemishes. This one product alone contains the innate ability to tighten your skin, firm the skin, prevent and treat acne, prevent and treat dermatitis, soothe the skin, repair the skin from damage, protect the skin from UV damage, reduces scars, smoothes wrinkles and fine lines, and of course it moisturizes the skin. This is what we consider to be true skin rejuvenation. One product to do many things so that you don’t have to spend extra time and money caring for your skin. Most of all, we need you to have the best results you have even seen so we only use high-quality all natural ingredients. To get the most out of your purchase, be sure to open your pores with warm steam or even a warm cloth prior to cleansing once in the morning and once at night before sleep. Follow-up with either of our serums, the I Am-Miracle Serum or our Alpha Mane® Anti-Aging Serum, and finish with our 100% Pure USDA Organic Moroccan Argan Oil for your best skin ever.